We are a casual group of players who usually play Weekday Mornings and Weekends UTC. Our average age is 49. Headsets/ Mics are strongly preferred. If that sounds like you, join us! House Exos emerged in the Golden Age to protect humanity and reclaim the Solar System. Self-aware war machines with uploaded human minds and indefinite life had ambitions to rebuild civilization and wield ominous power to extinguish their enemies. Alliances were forged with Human and Awoken Guardians to push back the darkness. 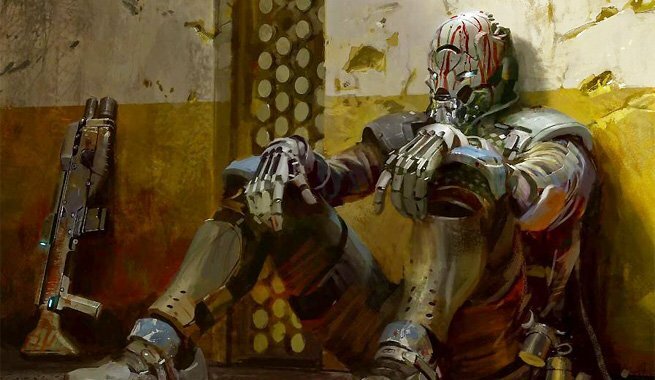 A diverse community of Guardians with all levels of experience and knowledge thrive in House Exos.